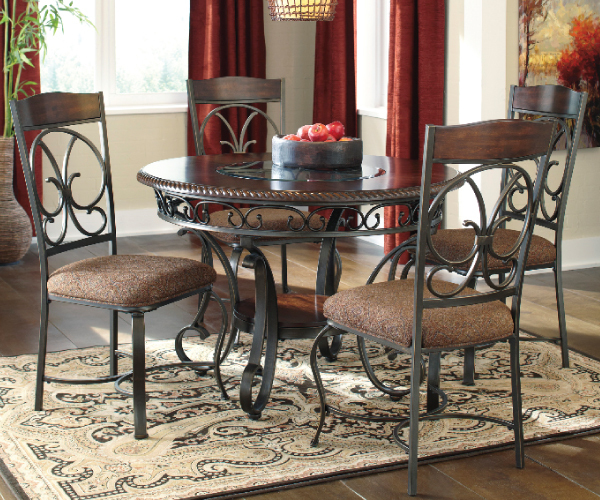 With the scrolling tubular metal bathed in a dark bronze color finish beautifully supporting the brown cherry finish table top adorned with a decorative rope twist edge profile, the "Glambrey" dining collection flawlessly captures the true atmosphere of classic Old World design to enhance the look of any dining room. Table base and chair frame make with tubular metal powder coat finish. Edge profile is made from select veneers. 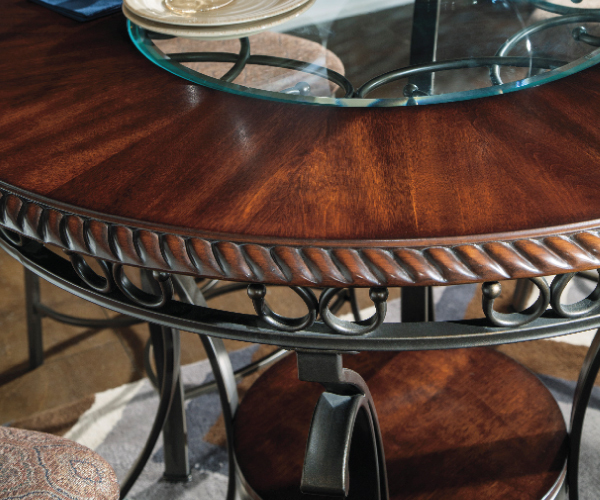 Color: Dark Bronze finish powder coat finish, Brown Cherry finish with burnished edges. FL Comments: Very cute, available in standard and counter height.